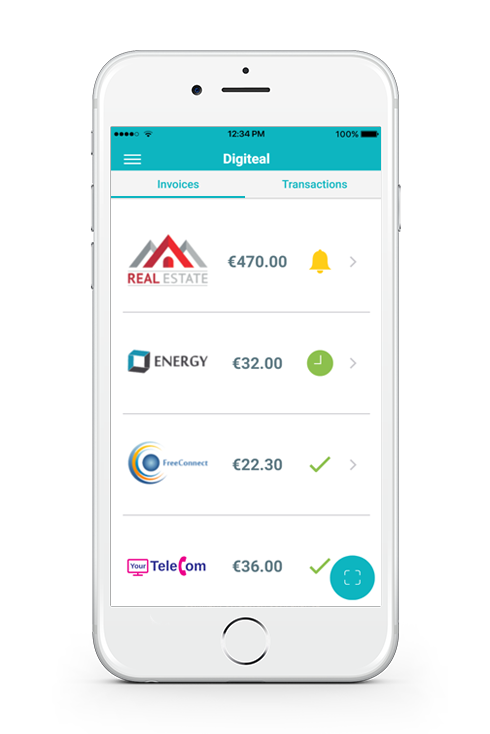 Digiteal app - Pay and manage your invoices from any device, anytime! Relax, Digiteal pays your bills! With Digiteal’s “Controlled Domiciliation” you can create automatic payments for the providers of your choice. You set the amount limit, the payment date and the periodicity. This way, if the billing amount exceeds the limit, the payment is not allowed. You delegate bill payments while still keeping the control! Save and you’re good to go! 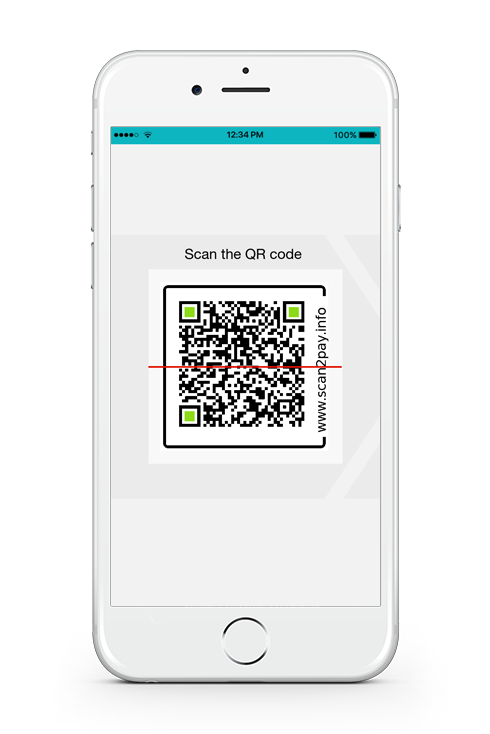 The standard European QR code enables you to make payments using the credit transfer in the entire SEPA zone. 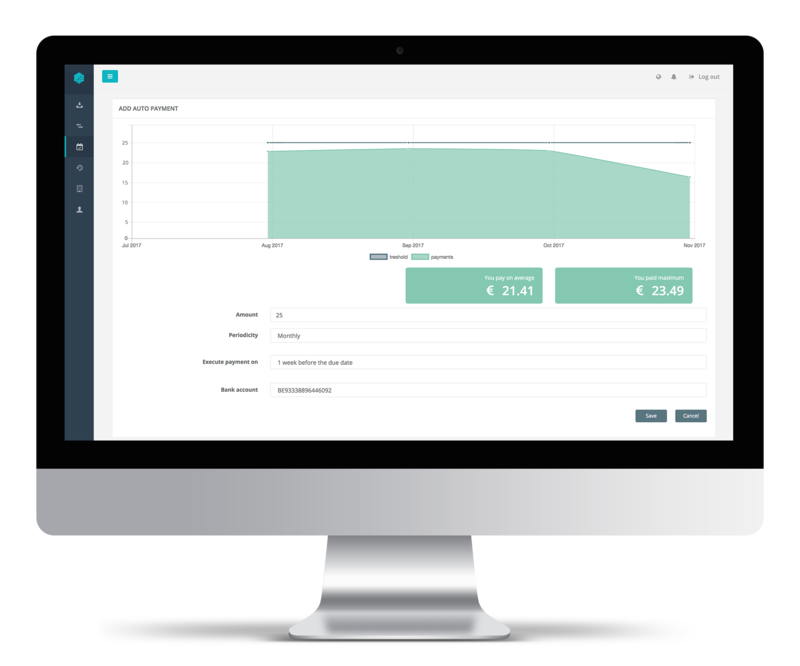 It contains all the data related to the invoice payment and doesn’t require manual entry. So, no more errors and reconciliation problems. 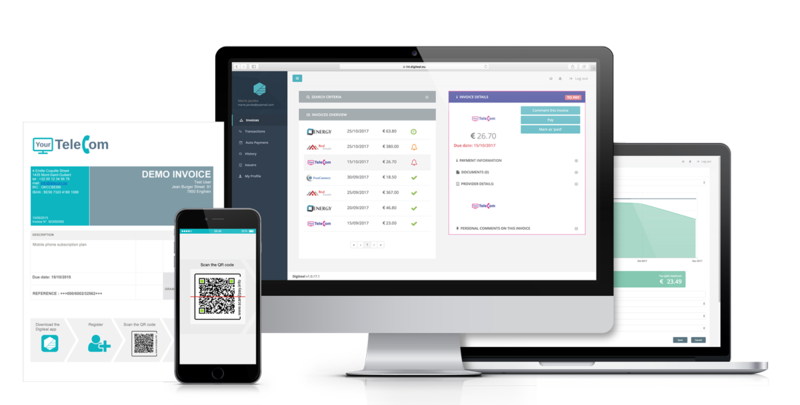 The payment QR contains the creditor name, IBAN, amount and payment reference by default. It’s the data you usually have on a payment slip. Scan the QR code on your electronic or paper bill, check the payment information, enter your pin, press pay and you are done! Check the status of your bill with a quick glance: is it paid, scheduled or late? You’re busy and forgot about a bill? We take care of it, sending you reminders before the due date. Keep an eye on every little thing happening with the invoice, from the moment you receive it! Download the documents attached to your invoice to have all details sent by your supplier. Use our filters to search for a bill and see everything related to it. Forget manually inputing your payments and the Digipass! With our easy, fast and secure “One Click” pay button you can proceed to the payment in no time by simply clicking on it, checking the transaction details and confirming it with your pin code. This payment method is available to the clients of all the banks in the entire SEPA zone. 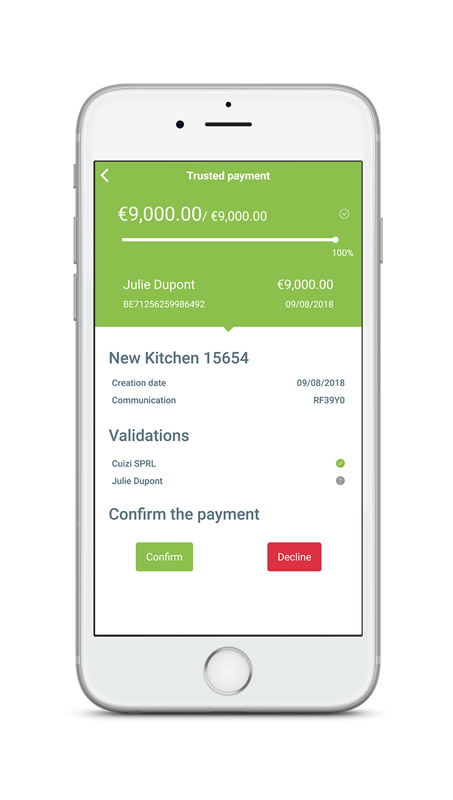 We propose a pay button in the mobile app of your supplier to make it easier and faster. A pay button on your provider’s portal so you can pay fast after having a look at all the details. Even simpler than the rest, get your electronic bill by mail and click to pay! Digitrust establishes a relationship of trust between two parties carrying out a financial transaction within the framework of a common project (simple purchase-sale, real estate operation, etc.). Buy or sell in all confidence! Your money is in an electronic safe until all parties confirm the transaction. And the deal is done! Both parties must be officially registered on www.digiteal.eu. Their Identity is verified by our compliance department. Your money is safe in a secure electronic safe (segregated account). No cash in the transaction means no bad surprises. Your money is transferred only after confirmation. Both buyer and seller confirm the success of the operation to release the money. Want to see digiteal in action? Watch how the municipality of Braine l’Alleud simplifies the life of parents! Yes! Both the web and mobile apps are free. Download it from your app store or simply connect to your digiteal on your computer. You will have to register, providing basic personal info and then link a bank account in order to be able to pay your bills. The bigger is becoming our community, the faster will your good suppliers propose you Digiteal. You want to manage and pay your bills like a pro?